"Jack is a Master Builder!" "It is necessary to create constraints, in order to invent freely. In poetry the constraint can be imposed by meter, foot, rhyme, by what has been called the "verse according to the ear."... In fiction, the surrounding world provides the constraint. This has nothing to do with realism... A completely unreal world can be constructed, in which asses fly and princesses are restored to life by a kiss; but that world, purely possible and unrealistic, must exist according to structures defined at the outset (we have to know whether it is a world where a princess can be restored to life only by the kiss of a prince, or also by that of a witch, and whether the princess's kiss transforms only frogs into princes or also, for example, armadillos)." — Umberto Eco, postscript to The Name of the Rose. Worldbuilding is the process of constructing a fictional universe. Strictly speaking, anything that happens in that universe "builds" it, so "worldbuilding" is only used to describe the invention of fictional details for some reason other than the convenience of a currently ongoing story, up to and including simply engaging in worldbuilding for its own sake. A common form of worldbuilding is the creation of history. This could just be a Framing Device for a story told by a historian, but fantasy worlds regularly include historical notes for centuries of warfare and intrigue. Stories can then be written at various points along that timeline, and each of those stories will have a clear relationship to all the others. It makes the writing of serial fiction much easier, especially if the series has multiple authors. If so, the fictional universe is a Shared Universe. The result may sometimes be called a Constructed World, conworld or (Tolkien's word) sub-creation. The term world-building was popularized at science fiction writers' workshops during the 1970s. It connotes a focus on detail and consistency. Many post-The Lord of the Rings Fantasy and post-Dune Science Fiction writers use world-building in an attempt to give their stories weight and meaning that they would not have without a well-defined setting. Constructed worlds frequently have their own aesthetics, above and beyond the aesthetics of the stories taking place in those worlds. Some artists and hobbyists build fictional worlds with no intention of writing any stories in them—at least, none more detailed than historical documents. The creation of a Fantasy World Map, history, geography, ecology, mythology, several different cultures in detail, and usually a set of "ground rules", metaphysical or otherwise. Sometimes, such worlds will have a Creation Myth that's either hinted at or told in more detailed fashion. This kind of worldbuilding can go to the extreme of working out entire constructed languages. Authors typically revise constructed worlds to complete a single work in a series. The work that goes into deciding the details of a setting. It's very difficult to write a story that contains absolutely no imaginary elements beyond what's described to the reader, so nearly every author worldbuilds a little bit. Some, however, go above and beyond the call of duty in that regard, in which case the sheer amount of detail not immediately relevant to the story at hand often serves as a major distinguishing point of their work. Extra worldbuilding that is only referred to obliquely is a Cryptic Background Reference. Over the course of a long running series or large persistent universe such as an MMORPG, these add up to form what is sometimes known as the "invisible book"- the portion of a story which becomes known over time without ever actually being directly described. TV Tropes has a World Creation Project. After a few story arcs and a ton of conflicts, Hajime Isayama's Attack on Titan finally explores life outside the walls and the secret of the titans. Midland from Berserk and its surrounding territories, in addition to the Layered World that governs supernatural occurrences in the series. Shiden Kanzaki's light novel series Black Bullet has this with prologues, epilogues, and exposition. Unfortunately most of the world building was cut out in the anime. Kazuma Kamachi's Light Novel series A Certain Magical Index has a lot of worldbuilding. Cowboy Bebop is an interesting case. While you do see bits and pieces of what is clearly a very rich and detailed world over the course of the series, they never quite reveal enough detail to show the whole picture about anything. In Digimon there's a load of worldbuilding, particularly in the Digimon Reference Book. Akira Toriyama's Dragon Ball is an interesting case, as Toriyama admitted that he never pre-planned anything when writing the manga.note Furthermore, it was originally meant to end after the initial story arc (the "Emperor Pilaf" arc). The Gundam franchise, given how long it's been around. This is especially true for works set in the Universal Century, which also introduced Minovsky Physics. Yoshihiro Togashi's Hunter × Hunter takes this Up to Eleven. It's absolutely brimming with exposition regarding the rules and conventions of its world, to the point of filling whole panels with walls of text. The Alternate Universe of Royal Space Force: The Wings of Honnêamise. The alien competitive world of Tower of God, and by extension, the Talse Uzer Stories. Over the years, this has explicitly become the goal of the creative team for Magic: The Gathering. Instead of being used to tell the story, each expansion block is now used to flesh out a different world to a remarkable degree. Albedo: Erma Felna EDF has this and also basically Universe Building as well, as the culture of each planet, language and many other details are painfully explained in many interesting ways. The IDW continuities of Godzilla, Namely its ongoing series consisting of Kingdom of Monsters, Godzilla Ongoing and Rulers of Earth. While Marvel Comics' 2099 Unlimited anthology series was best known for introducing the 2099 version of the Hulk, it also featured a series of back-up stories featuring one-shot or minor recurring characters in order to help fill in more details about the world of 2099. The Alternate History of Mega Man. The crossover fic Child of the Storm goes in for this in a big way as part of a slow buildup, with quiet emphasis on the Butterfly Effect caused by the story's premise and events thereafter, integrating a number of fictional universes and remixing them to create a unique world, going into detail about how this affected the history of the world and various characters' pasts and personalities. The various fans of the animated show Daria have created the Daria Multiverse, with various worlds, Original Characters, groups... there's a hell of a lot of fanon world-building for a show about a Deadpan Snarker in high school with an ongoing taste for obscure literature and pizza. The authors of Game Theory have done a lot of world building for their version of the Lyrical Nanoha universe. They've expanded on the history and culture of the setting, the magic, the nature of alternate dimensions, and much, much more. Hivefled has quite a bit of it for Alternia, most notably the subjugglator religion, Dyelus, which the author has written quite a lot of very detailed meta about on their blog, as well as the trolls' language. One of the biggest draws of Honor Trip is that it takes the world-building of Dragon Ball Z Up to Eleven with its details and plausibility. Lost Tales of Fantasia takes all Disney stories and links together various elements and events to form a detailed, cohesive world that is currently being ravaged and changed by an altered World War II. Its companion story, It's a Small World University, takes place much later, adding to the world's timeline and history. The aptly-named Codex Equestria is a Fix Fic that either expands on existing canon, creates new concepts, or both, turning a Sugar Bowl into a realistic world where each sapiant race has its own governing pantheon and is constantly rife with new dangers not seen in the show. It also covers each Generation, referred to as "Ages", such as G1 being referred to as the "First Age", G2 being the "Second Age", and so on, technically making it one giant crossover. The Conversion Bureau: The Other Side of the Spectrum went from a simple TCB Deconstruction Fic to a truly massive group project thanks to its massive Myth Arc, occasional uses of Lower Deck Episodes and Ascended Fridge Horror, co-authors wishing to avert Creator Provincialism by exploring the war effort as it happens across the globe, and exploring the inner workings of the numerous factions and groups operating in the war and their moral standings. The Elements of Friendship has plenty, moreso than the television series. References are made to creatures and nations that simply do not exist in the show's canon, as well as a Cold War between Equestria and the Griffon nation of Orlalvov. The Weedverse has a lot of worldbuilding, though information is spread out through each story and may be earned by doing extensive reading in order to learn what's going on. What is known is that Equestria and the world at large is preparing for a war against Grogar the Necromancer. Pokémon: Nova and Antica: The story takes place in the brand new, original Region of Tenla. It will inevitably showcase its own mythology, history, and culture that the story will slowly unveil to the readers. A lot of the interest in Renegade comes from how the Mass Effect and Command & Conquer: Tiberian Series universes interact. Shinji And Warhammer 40 K goes into extensive detail regarding the effects of Third Impact on the world's people and politics, and then on how the characters' actions have effects that ripple throughout all levels of human society. The universe of Sonic the Hedgehog: Heroes of Mobius takes cues from all over the Sonic franchise, containing material from the games, the Archie comic, and Sonic X. Soul Eater: Troubled Souls worldbuilds the Soul Eater universe as much as it can. Its prequel, Soul Eater Zeta, is just icing on the cake. Sugar Plums is a Naruto fan fiction set in Kirigakure which spends a LOT of time explaining and fleshing out the culture, history, political and economical system of an otherwise unknown setting in that world. It also spends a lot of time explaining the build up and actions that caused Kirigakure to become so bad that so many powerful shinobi defected from it as well as the events that led up to the civil war that eventually resulted in Mei taking up the mantle of Mizukage. The Puella Magi Madoka Magica fic To the Stars has a lot of worldbuilding about the Magical Girls and their effect on the human society in 25th century. The Undertale Fan Fic Visiontale has world-building regarding the Underground, fleshing out the slang and customs alluded to in the story, as well as adding new terms and customs. The author explores the implications of monsterkind's altered societal development as opposed to postindustrial nations on the surface, as well as the structures in place which would allow for the mix of magic and technology present in the game. The world of C'hou in With Strings Attached, a completely original world (which is a MAJOR rarity in Fan Fiction), fully realized, with two vastly different cultures and mindsets, several sets of slang, and hints of a much more ordered past. And to a lesser extent, the Hunter's world, which the four visit in the Third Movement. Wreckstuck: The central premise of the four fics is to develop the world of Homestuck. Part of the appeal of Star Wars was that it created a feel of an entire galaxy, with its own histories and customs, while only focusing on a handful of sparsely populated planets. The Star Wars Expanded Universe capitalised on this immensely, with hundreds of worlds, species and societies and histories stretching back tens of thousands of years. Avatar had an extensive work of world building concerning the creation of the flora, fauna and culture from Pandora. The Na'vi lexicon was created by a real linguist . There is a whole Universe Bible concerning the alien language (Speak Na'vi), plants and wildlife taxonomy, a scale structure for the alien music, Pandora's physical properties etc. etc. Brian Froud and Jim Henson did a long work of World Building before making the movie The Dark Crystal, which takes place in "another world" inhabitated by many different kind of creatures, none of them based on humans or any other specific creature from Earth. Henson originally wanted the Skeksis to speak their own fictional language, with the dialogue subtitled in English. Every Mad Max film has been consistent (even if there are Continuity Snarls that George Miller doesn't really care about), and each film has contributed to the post-apocalyptic world Miller has built, both being similar and yet giving a completely different view each time. This was one of the biggest points of acclaim that Fury Road received, with its now well-known Show, Don't Tell approach building everything with virtually no exposition. John Wick depicts a society of hitmen that functions almost entirely separately from the rest of the world. They even have their own currency in the form of gold coins (one of which is worth thousands of dollars), which are used to show that they have the skill, wealth, and reputation to belong in that society. Shannon Hale's novels all are very lovingly crafted. However, this often results in a slow beginning. William Morris's The Wood Beyond the World, a major influence on Tolkien's own worldbuilding. M.A.R. Barker's Tékumel created by him beginning at age ten, for much the same reasons J. R. R. Tolkien created Middle-Earth. Robert Jordan's The Wheel of Time, perhaps the most famous (and complete) constructed worlds in recent works of literature. Velgarth, where Mercedes Lackey's Heralds of Valdemar takes place. Ursula K. Le Guin's Earthsea. Word of God says that, at least when working on the original trilogy, she literally made up background information as she went along, depending on what felt right. Two of the islands are named for her children's nicknames. C. S. Lewis's Narnia: he indulged in worldbuilding much less than most of the examples here; he preferred to write quickly and without bothering to establish much background information beyond what was necessary for the story. His friend J. R. R. Tolkien even criticized him for making Narnia a Fantasy Kitchen Sink world, and for not taking the craft of worldbuilding seriously enough. George R. R. Martin's A Song of Ice and Fire. Also, the Thousand Worlds of his Science Fiction short stories. The Saga Of Recluce by L. E. Modesitt, Jr. The Known Space and The Magic Goes Away settings of Larry Niven. All of Brandon Sanderson's works, in fact, they actually all share a cosmology except for his young adult Alcatraz books, and of course the Wheel of Time books he's written in Posthumous Collaboration with Robert Jordan, Word of God says there's even a defined logic that underlies all the different magic systems of all Sanderson's works. The Instrumentality of Mankind cycle of Cordwainer Smith. J. R. R. Tolkien's The Lord of the Rings - The original, at least in the modern sense of the detail involved. Tolkien stated that the creation of Middle-earth was the result of giving his created languages a place to live in. He has written a lots of notes on the direction of that the history of Middle-Earth should go. Much of his notes have been organized and published as The History of Middle-earth. Tolkien's world turned out so popular that nearly all Western (and some Eastern) fantasy took after him. Tolkien's essay On Fairy-Stories suggests that imagining new worlds — and new perspectives on our world — is the highest and (literally) most sacred aim of art, and invented the term "subcreation" for it. Jorge Luis Borges's "Tlön, Uqbar, Orbis Tertius " is something of a meta-example, being a fantasy about world-builders... who want the world they're building to replace ours. R. Scott Bakker's Eärwa (though not the entire planet), of the Second Apocalypse series, has four thousand years of human history, three huge religions, several different species, and his very own magic. Also, a completely incomprehensible Eldritch Abomination Big Bad. Harry Potter indulges in quite a lot of this, the world growing more detailed and complex as the books go on, though for the most part it's Like Reality Unless Noted. Robert E. Howard's sword and sorcery universe, which encompasses both the Hyborian Age of Conan the Barbarian and the age of Kull's Atlantis. Michael Moorcock's multiverse, encompassing the worlds of Elric, Corum, and various other heroes who take on the role of the Eternal Champion. Garth Nix's Old Kingdom books have a rich background. Mary Hoffman's Stravaganza books are set in an Alternate Universe and Alternate History version of Renaissance Italy. David Weber's Honor Harrington started off less built, but after 17 doorstoppers plus 5 short story collections with several of the short stories designed to fill the history and technology roles have built up a fairly consistent world whose technology is plausible and has rather large and detailed conflicts. Safehold exploits David Weber being a more experienced author, and has very large global conflict with dozens of different political groups involved in a religious conflict. Terry Pratchett wrote 38 novels along with several background information books for his Discworld series, with several recurring characters and places. The Vorkosigan Saga, most notably in its description of Barrayaran history and culture. Andrey Livadny's The History of the Galaxy is a vast 'verse with over 30 novels, novellas, and short stories (and counting). The order of writing does not always match up with the universe timeline (although, currently, he seems to be primarily adding to the end). Most novels have unique characters, although there are story arcs that include several of the books. There's a reason the series includes the word "history", especially since many novels deal with alien races, most of which predate humanity by millions of years and some have stopped counting at billions. One novel even goes into the origin of life itself, and another off-handedly reveals that "true" origin of Christianity. Several fan-based web MMORPGs have been created based in the 'verse, especially set during the First Galactic War, a 30-year period of constant technological warfare between two human powers, a period so devastating that its effects are still felt 1000 years later. And now one universe isn't enough for the author, since he's expanding it to The Multiverse with several parallel realities with completely different histories and races intersecting. Donald Kingsbury's Courtship Rite has a huge amount of world-building, not just in the planet Geta itself, but in the society of the Lost Colony, which has been there for so many centuries that Earth isn't even a legend any more. Charlotte Brontë and her sisters and brother were masters of this at a very young age. Taking off in 1826 from a set of toy soldiers, they colonized the west coast of Africa and called it the Glasstown Confederacy, later Angria. The adventures of the "Young Men" and later The Duke of Wellington's son Arthur, whom they elevated into a veritable demigod, were set down in a set of handmade books about the size of a large postage stamp . Later, Emily and Anne split off and discovered Gondal, a huge continent in the Northern Pacific. These narratives were lost but for a few dozen poems. It's easy to see the origins of Wuthering Heights and Jane Eyre in these narratives, which went on for their entire lives. Henry Darger, author of The Story of the Vivian Girls in What is Known as the Realms of the Unreal devoted years, beginning in about 1919, to detailing the gigantic world where most of the story takes place. Elizabeth Knox, one of New Zealand's most famous authors, began elaborate worldbuilding as a child and on into adulthood with her sisters Mary and Sarah. Several of Elizabeth's novels are based on events in their imaginary worlds. They discuss the intersection of their real lives with their fantasy creations in a series of literary journal articles . See the Paracosm article on Wikipedia for more examples of youthful world-building which often becomes the basis for creative writing and art in adulthood. Brian Jacques' Redwall books have a world that not only seems to span quite a lot of territory and varied geography, but also has a history going back many generations, including books set both before and after the original. Tamora Pierce creates a very vivid realm in her novels about the Tortall Universe. The Railway Series: The Reverend W. Awdry and his brother gave the Island of Sodor not only a thoroughly detailed map but a complete history going back centuries. The Deverry series has a good bit of this over its 15 books, and it's quite necessary, as the story is told by moving to different points in the history. The author has stated that the first bit of the world that came to her mind was what ended up being expanded to be the last part of the sixth book. Take Back the Skies is set in the fictional world of Tellus, notable for the thick, tumultuous storms that surround its islands. Murderess, the first installment in The Exiles of Greywalld Saga, has some world-building included, but only moderately; the following books in the series will develop this aspect some more. In the Star Darlings franchise, each book has a detailed glossary to explain terms, and goes into detail about the Starling life cycle. For a relatively short novel, Alien in a Small Town does a lot of this, with at least two huge wars that each had lasting consequences on the history of the setting, the "Cybertopias" full of failed transhumans, a huge orbiting "port city," human colonies throughout the solar system, and alien outposts on Mars, Callisto, Pluto, and Kuiper Belt objects. The Rev. W. Awdry, the author of The Railway Series, spent roughly four years "mapping" the Island of Sodor, which in the books, takes the place of the real-life Walney Island. The end result is a plausible world with a realistic railway network. J. Zachary Pike does this in The Dark Profit Saga, with the series consisting of two books and a short story at the moment. The books feature a Fantasy World Map at the end, as well as a glossary of terms. The second book has an expanded version of the map, including the previously-unmentioned country of Ruskan. The author's website has a blog with detailed information on the various races, clans, and organizations in the world of Arth. There's a pantheon of gods, the origins of humankind, an ancient war between good and evil, and even the beginnings of a Conlang. Firefly has not only a map of the solar system the show takes place in as a buyable poster, but the Tabletop RPG gives us much worldbuilding. J. Michael Straczynski's Babylon 5, which has a setting with five major galactic powers and several smaller governments. The Twelve Colonies of Battlestar Galactica, which were fully fleshed out by the writers for the start of Caprica. Star Trek, notably in Star Trek: Deep Space Nine. LOST built up the history of the island. The world of Fraggle Rock may be Lighter and Softer than most other entries on this page, but is no less complex and fascinating. The Man in the High Castle: There are a lot of references made about the overall state of the hellish world that the Axis Powers created in their victory, for instance Nazi Germany taking over the European colonies in Africa and replacing them with even more brutal regimes resembling the Congo Free State. Worldbooks, a type of sourcebook, are tabletop RPG supplements that exist entirely to give Game Masters detailed settings to run their games in. While it's possible to buy worldbooks based on the real world—essentially, history books targeted at roleplayers—most worldbooks are about fictional worlds, and so the process of writing the book consisted entirely of worldbuilding. Many Dungeon Masters create their own fantasy worlds for their campaigns. Some of the more famous examples of these worlds are Eberron by Keith Baker and Forgotten Realms by Ed Greenwood. There's an offshoot of roleplaying games developing that might be called "world-building games", in which the players collaborate to tell the history of a world that develops in-play. Warhammer 40,000 has an extremely well crafted setting with a complex history going back tens of thousands of years. Warhammer doesn't have such an extensive time period to work with, but a higher number of factions and being limited to one planet means a lot more attention to small details. Traveller deserves special mention as one of the best sci fi verses ever built. BattleTech features a 31st century with dozens of detailed worlds and cultures, developed over the course of about three decades. Legend of the Five Rings has been developed over about two decades, with a history stretching back a thousand years and a continuing storyline that has spanned generations. This is what Microscope is all about! Players collaboratively build a world as they play in it. If a group plays long enough they can end up with a very detailed world—and maybe play more traditional RPG's set there. The BIONICLE universe, to the point where it has in-universe mythology and creation myths (which most members of the audience accepted in the first few years as canonical events in the timeline) that are later Deconstructed as science-based explanations for the seemingly mystical occurrences are gradually revealed. The World of Battle for Wesnoth, although it is unique as it is a open source project. Akira Tsuchiya's EXA_PICO universe. To summarize, he created a universe grounded on waves and sounds, where music and feelings all have quantifiable power and serve as the basis for the physical laws in it. This complete with two planets that have extensive timelines, no less than six functional Conlangs, and even living cultures, myths and legends for the regions that exist in them. Ivalice Alliance and Compilation of Final Fantasy VII. The first six Dragon Quest games are meant to be broken up into trilogies (1-3 and 4-6, with the last game in each trilogy being a prequel to the first two). However, the second trilogy bar only has a tenuous connection with the games they frame. Oddworld is a giant fictional universe presented as a video game series. The Warcraft series has grown from a fairly standard setting to this, including lore elements dating back ten thousand years or more. It has four worlds (Azeroth, Draenor, and to a lesser extent, Argus and Xoroth) which are explored in depth. Blizzard's other big settings, Sanctuary and the Koprulu Sector, which are both getting pretty extensive supplements. Mitsumete Knight thrives on this, having a rich world and mythos described in-game and in Word of God notes, and this is one of the main aspects (along with the Anyone Can Die factor) that makes it stand out in the crowd of Dating Sims. Yep, you read that right, a Dating Sim which has rich and deep World Building. Dwarf Fortress is something of a meta-example, as it does this the first time you play, and can be done as many times as desired. While the set of creatures, plants, and sentient races are well-defined in the game files, the mythology, history between the races, geography, and geology are procedurally generated, according to modifiable parameters. This is a huge part of the game's charm. This, of course, leads to events where a dwarf will erect a statue of some guy you never heard of in the middle of your fortress. Until you check the legends, you'll never know about him. When you do, you'll probably find out that he was a peasant who managed to singlehandedly defend a castle from a horde of cyclopes with his left boot. BioWare's original properties tend to be quite extensively worldbuilt. Jade Empire is a minor example, while in Mass Effect they went into greater detail. Much greater detail. And even ME is eclipsed by the Dragon Age franchise. And even when playing in someone else's universe, they like proving they did extra credit on their homework and adding huge amounts of their own mythology into it. Knights of the Old Republic added an entire new chapter to the Star Wars Expanded Universe. Codex hunting in Star Wars: The Old Republic is a massive undertaking. Brütal Legend has the Age of Metal, complete with a Fantasy World Map, Functional Magic based on Heavy Metal, and a Creation Myth reflecting the history of the genre. And of course, there are some games where you can build a world, or at least greatly influence one. Sim games are an obvious example. And the Fable games, amongst others, allow you to shape the future of the world they're set in. The Nasuverse often makes side-references to expand its magic system without it having any relevance for the actual story. The most prominent example would be the constant mention of dragons being the most powerful of all magical creatures, though nobody ever fights a dragon onscreen. Marathon gets special credit for doing extensive world-building in a time when most FPS game stories consisted of "monsters teleport in, you kill them"
Halo does this with its extensive Expanded Universe, building an entire mythology around the series. Starting with Halo 3, each game also had several hidden terminals/data-pads/etc. that dramatically expanded on the backstory, and later entries in the series became more heavily integrated with the expanded universe; several important plot points in Halo 4 were explained primarily in the novels. For The Elder Scrolls series, this is one of the more widely celebrated aspects of the series. There are several divergent mythologies, creation stories, and conflicting historical accounts of events, and of course All Myths Are True to at least some degree. Unlike many instances of the trope, this is presented as an actual in-universe force as well. The fabric of reality in the Elder Scrolls universe is malleable through various means of Reality Warping. Mortals can ascend to godhood and often perform Cosmic Retcons of their own pasts, which can bring together multiple timelines, regardless of conflicts. These and other divine events also tend to have Time Crashes as side-effects, which can further tamper with reality in various ways. Solatorobo purportedly spent seven of its ten-year development cycle on world building, creating the Loads and Loads of Characters and the various looks and cultures of the Floating Continents. Touhou owes its gargantuan fanbase to this trope. ZUN includes a surprising amount of information surrounding the characters, events and setting of the games, enough to fill several Universe Compendiums, but it is almost always bare-bones details, prompting the fans to create their own world building in any way they can, filling whatever gaps they see. Most of the updates for Command & Conquer: Generals Game Mod Rise of the Reds are this, showing the evolution of the setting post-ZH, leading to the Russian invasion of Europe. The Nippon Ichi multiverse started out pretty simple, but gets a bit more complicated as more games come out. This is usually played for laughs. In particular, Celestia and the various Netherworlds recieve a growing amount of detail as the games go on. The creators of the Ravenmark series did that with their first game, which was largely story-driven with a map of the world, a different calendar, backstories of the different factions, the pantheon, etc. Unfortunately, the sequel is largely multiplayer-oriented, so not much is added in terms of background material. The Kiseki Series is, in a few words, a really big world where every character from the main characters all the way down to NPCs that players can interact have an ongoing story that's happening while the plot is moving forward. From the Liberl arc, the Crossbell arc, and the Erebonia arc, there's hundreds of hours of plot content plus side quests that help build up the lore of the franchise. And they're all interconnected as well. Dominic Deegan has a story arc that was partly so the characters could unwind, and partly so Mookie could do some world building. The "space opera" story arc in The Inexplicable Adventures of Bob! seems to be largely intended to pull the many disparate threads of the comic together into a coherent larger setting. Several of the alternate dimensions of Pete Abrams's Sluggy Freelance. Snow By Night takes a Colonial-like setting with roughly equivalent places and starts its world-building by taking some clever divergences from real life. The Almanac shows it off the most. The Mansion of E has this going on in the background as the action wanders around the eponymous structure. Erfworld doesn't just take place a world with its own cultures, and an unfamiliar set of fundamental universal laws. It features a protagonist from outside of that world learning about the world alongside the reader... who then hunts down and exploits loopholes within the world's established construction in ways that rock the world to its foundations and destabilize whole civilizations with long and (internally) storied histories. Unsounded is built on this, with an entire continent of multiple nations with their own religions, governments, even various taboos, whole industries built on Functional Magic, various political complexities, and intimate views into crime and the slave trade. Terreneus in Grandmaster of Theft. In each compilation book of Monster Girl Encyclopedia, large amount of background info were given about its world, covering how things were before, and how much it changed after the reign of Succubus Overlord. Quite impressive one for fetish works. Blackburn is heavily based on worldbuilding. Much of the story is dedicated to the lore of the city, and introducing tons of characters who will be more important later. The Otherworld Project , formerly Eshraval, is a long-running online collaborative modern worldbuilding project founded in 2004, which also encourages Role Play in the context of the world (though not at the moment since it's rebuilding). It's recently undergone a reset, and is in redevelopment mode. Strong hints of Crapsack World in its current incarnation. Forest Bed from The Trader of Stories. It's pretty. The Deviant Art Extended Universe was basically founded as an experiment in world building. Author Doctor-of-W envisioned a fantasy setting with his followers as characters, and created a planet with various locations and a sub continent within that planet as a microcosm of that world! As the story is still new, not much actual setting development has happened yet. But give it time! The Land of Ooo from Adventure Time is a mild example. Ooo is meant to be After the End, arising from the remains of human civilization as we understand it, and there are hints towards this in almost every episode, including the opening sequence. Examples include mispronunciations of names like "Mozart" and "Groucho," and there's also a Nursery Rhyme that seems to be about mushroom clouds. The world of Avatar: The Last Airbender and The Legend of Korra. In the early seasons of The Simpsons, Springfield semi-qualified, as its events were contained enough to function as a separate world, even if it was never defined as such. This was abandoned later on. ThunderCats (2011) implied a lot about not just Third Earth, but the entire universe, but never got around to revealing much. The animal races that were brought there after the Black Pyramid crashed have been there for about five thousand years, and have had conflicts between themselves before the start of the series. There is also mentioned other inhabited planets, but we only see one during a flashback. The Art Of Kung Fu Panda goes into some of the history of the world, such as how Master Oogway came to the Valley Of Peace and why most of its residents are pigs, geese, and rabbits. Both this and the animated shorts also show off a few important locations that never appeared in the films as well as revealing the backstories of some of the major characters. Trollz has a detailed system of magic, several historical events are mentioned, and in one episode the wheres and whys of how girl trolls get their magic is explained. They even have a different calendar system. Steven Universe has a very detailed and complex history regarding Gems. The specifics are mainly done for the sake of Character Development, to give the Crystal Gems an intricate past making it clear they weren't idle before the start of the series. As the Crystal Gems are forced to confront more of their race from their homeworld, many details relating to the mechanics of Gem powers, society, and the ancient civil war fought for the sake of the Earth are revealed. 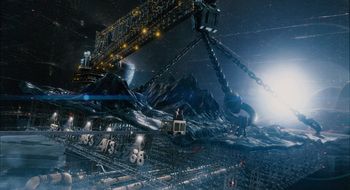 More subtly, background shots establish shades of Alternate History for the Earth itself. Futurama includes a lot of worldbuilding in the form of jokes, and characters often make offhand references to events and people in the year 3000. There's a variety of planets and species with highly-detailed cultures, and plenty of visual gags adding to the futuristic setting, like messages in a fictional alien language that are seen in various locations throughout the series. Robots also have a very fleshed out culture, which is best seen in Bender-centric episodes. Lady Lovely Locks had several details given about the Land of Lovelylocks, including how Lady's Looking Room worked, how dragons were born, where Lady and Ravenwaves lived, areas outside their kingdoms like the Lake of Reflections, the Frosted Mountains, the Parched Desert, Mirror Lake, and cryptic references to the Sea of Far Beyond and lands beyond it. 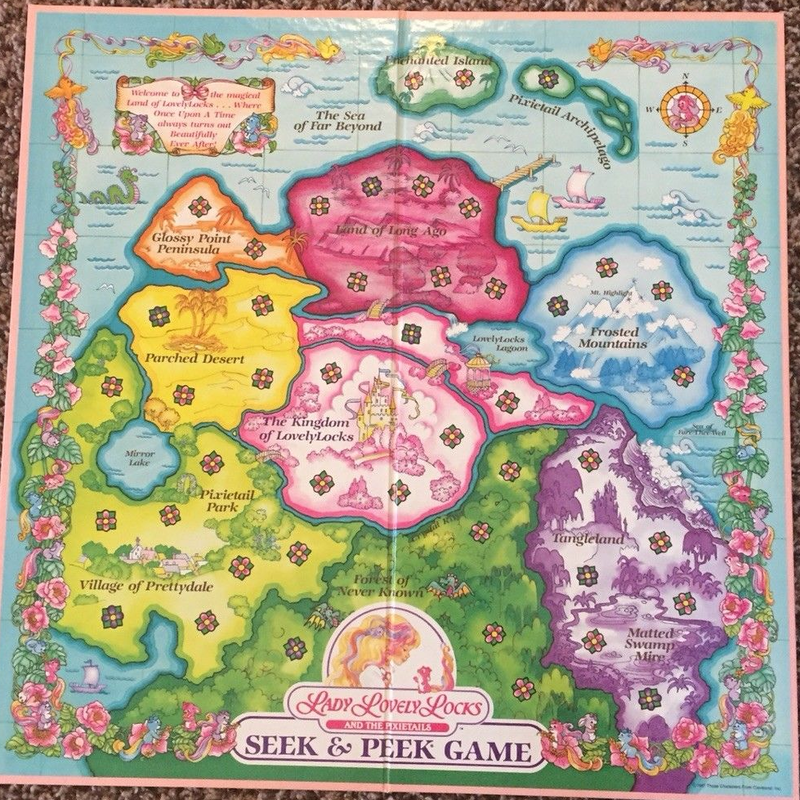 A tie-in board game ◊ showed even more locations, some of which were used in year 2 of the toyline and in books. The early parts of The Dreamstone did this in a gradual manner, explaining the layout of the Sleeping World the series takes place on, and some key backstories and mythos. This was generally subtle originally due to the Villain Protagonist approach, though by the later points of the series, the heroes play a more active role and development of their world becomes more frequent, with more detail into the entire fictional galaxy that surrounds them as well as clearer establishment of the show's mythos such as how the heroes' make dreams. It's rather easy to do this yourself, just open up a word processor document and let your imagination take off. If you need help, the fine folks of The Other Wiki have an in-depth article on worldbuilding . Or these excellent articles can help you out. This Very Wiki has a couple of tips on how to help. Of course, there's also the Write a Heroic Fantasy and Be the Next J. R. R. Tolkien pages. And Patricia C. Wrede has made a list of World Building Questions, compiled here . Another good resource is Mark Rosenfelder's Planet Construction Kit , meant to run alongside his Language Construction Kit. The setting of the forum role-play Open Blue has, over its extensive history, grown quite large. Santharia is a world-building project for the world of Caelereth, which has been going since 1998. Everything from flora and fauna to cosmology is described in loving detail, and pictures added created by Dreamers themselves. The world of Caelereth is developed on the Development board, while on a separate Roleplaying board stories are told set within this world, most of them within the continent of Sarvonia. Recently an interactive game has been developed. Friends of a Solar Empire, being (partly) a Sins of a Solar Empire fanfic, has very little Canon backstory for any of the Sins factions. So the author made one. Valucre , another forum role-play, takes place on a planet twice as large as Earth, and over its twelve years of existence has amassed a huge collection of extremely detailed user-created lore. More specifically, each of the three continentsnote Tellus Mater is divided into four separate territories, so those have their own lore too, territory, kingdom, city, town, and major location has a detailed article about its geography, culture, technology, government/politics, economy, transportation, and history.